Used in light to medium construction, utility and plant maintenance work such as light demolition of floors, pavements and road surfaces as well as various other service jobs. They are also often found on bridge deck jobs. 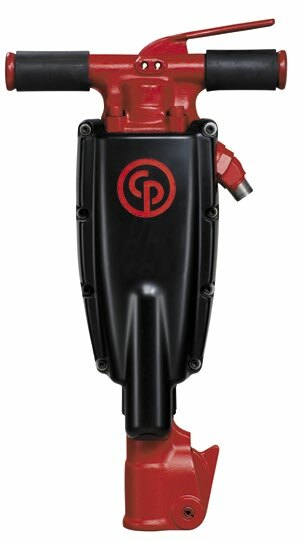 Although classed as a 35-pound tool, the CP 1210 offers the hitting power and high performance of a larger tool. There are also a number of different shank sizes and shank configurations available. In addition to the standard units, there are also “Hushed Power” versions (S models) and versions with extra vibration dampening (SVR models).